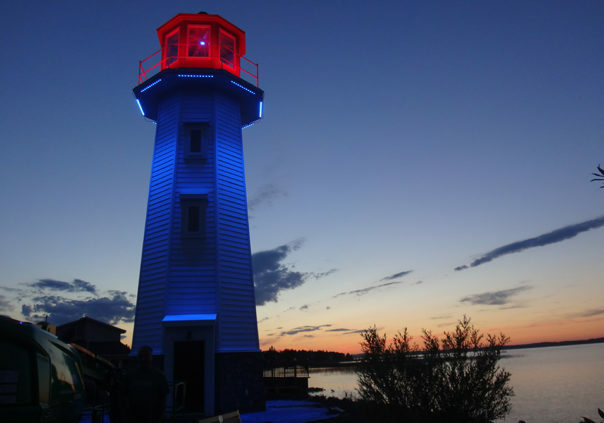 In 2015, RDDCF participated in rebuilding the iconic Sylvan Lake Lighthouse, a project spearheaded by the Sylvan Lake Sailing Club and championed by the Tourism Action Committee, the Sylvan Lake Marina, and the Chamber of Commerce. Built in 1988 to commemorate the town’s 75th birthday, the original lighthouse was plagued with building deficiencies and later demolished. 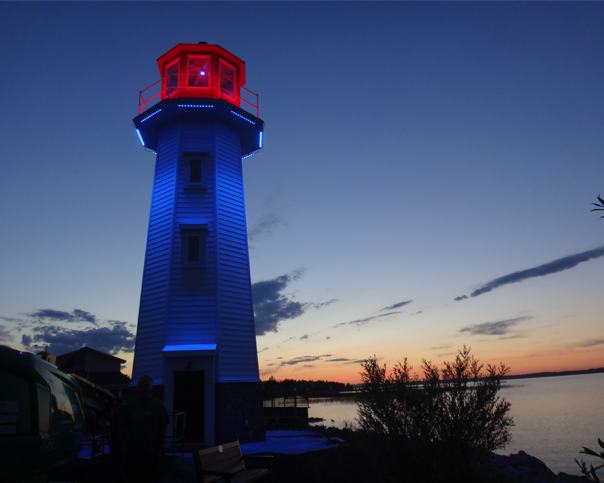 With the town’s 100th birthday celebration in 2013, the Sylvan Lake Rotary took on the challenge of building another lighthouse in the same location. Through a partnership with the Town of Sylvan Lake, the Sylvan Lake Rotary was able to raise approximately $240,000, and the Sylvan Lake Lighthouse Flow Through Fund was able to raise an additional $100,000 by selling sponsorship prints and engraved bricks that were placed in the lighthouse foundation. The new lighthouse now stands tall as a symbol of community building and the strength of collectively rallying behind a common goal.